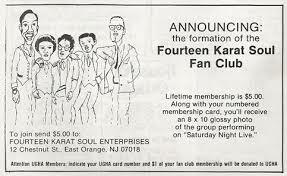 THE FOURTEEN KARAT SOULS. VOCAL PURITY. Undoubtedly, The Fourteen Karat Souls is a name that is marked by fire in the memory of the followers of Stray Cats. It is synonymous with vocal purity, professionalism and exemplary personalizes that musical style that had its heyday in the fifties and that the Cats have always tried to evoke and enhance by composing some songs for the brilliance of their voices or for that of other illustrious choirs as the protagonists of this article. Glenny T is the founder of this exquisite vocal group. He convinced two other boys from East Orange, New Jersey, to form a Doo Woop band. His current line up is composed of Glenny T, Tony Zeke, Nadir, Mark Aaron and Hervon, although numerous voices have been part of the group over the years. Very soon they were crowned by the press as the best group of voices in America. 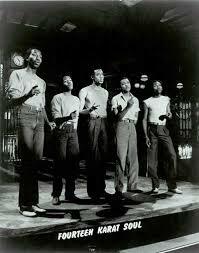 They started practicing at Glenn’s house with songs from the seventies like “Me and Mrs. Jones” and from the fifties like “Why Do Fools Fall in Love”, written by Frankie Lymon and recorded with The Teenagers in 1955. The origin of his name took place when Michael, one of the first members, and his girlfriend, Denise Washington, started shuffling names until Michael thought of “Fourteen Karat Gold” and finally his girl would add the word “Soul”. He debuted on March 14, 1976 at the East Orange Public Library. Although at the beginning they were a strictly Doo Woop band, they soon began to introduce themselves to the soul music of the seventies. Later, in 1980, they released, in Brodway, a mini doo woop operetta called Sister Suzie Cinema and began touring North America and Europe. Then there would be appearances on Saturday Night Live and a movie called Sesame Street, they did choirs for Robert Plant and even an European tour with Whitney Houston. 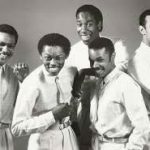 They also recorded synths for the famous sitcom of the eighties The Bill Cosby Show, until its last broadcast, and they did avertising for several brands such as Roy Rogers, Mc Donnalds or Walt Disney. 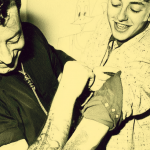 Brian saw this band, for the first time, at a doo wop show on the Botton Line in New York and, later, while recording Rant ‘n Rave in London, it turned out that they were in the city. Brian decided that he had to count on the group to record the choruses of a song from the new album. 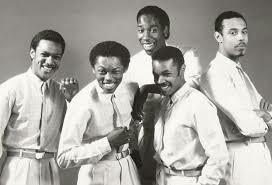 “I won’t Stand In Your Way” was quickly a success and was placed on October 29, 1983 at number 35 of the lists. The song was executed with such perfection that the B side of a single was reserved for a cappella recording of it. 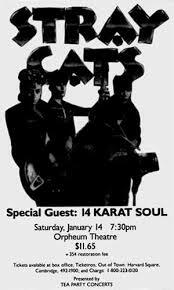 The Cats took The Fourteen on tour, from October 1983 to February 1984, and participated in many of their concerts. In 1986 they met a promoter who wanted to take them to Japan. Finally in 1987 they would act in several clubs of Tokyo and would record 3 albums only released in the Japanese market. recorded some voices with the Orchestra, such as those heard in the fabulous version of the success of Queen, written by Freddie Mercury, “Crazy Little Thing Called Love”. 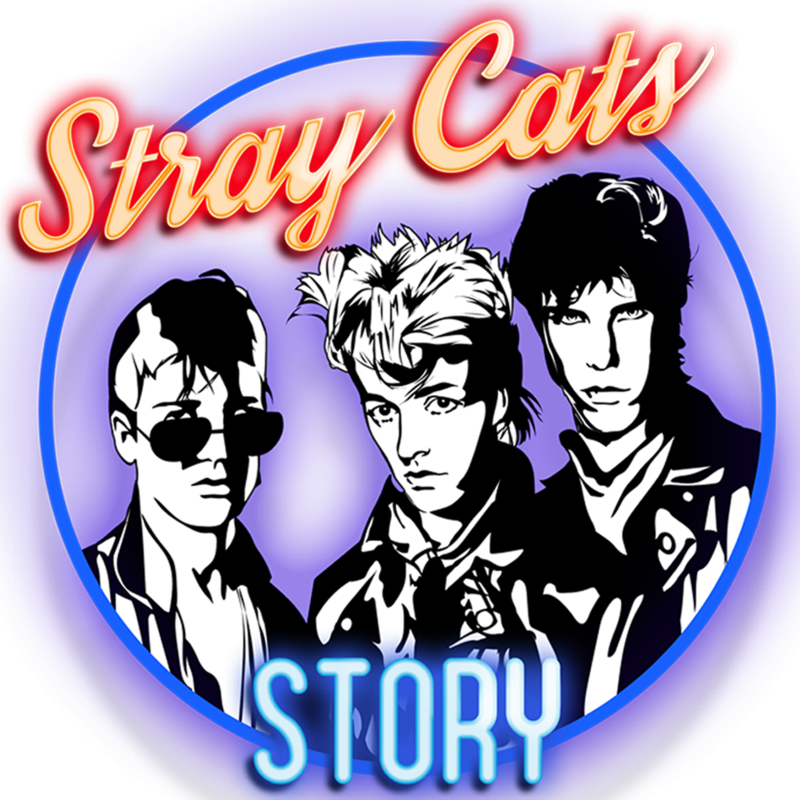 WELCOME TO STRAY CATS STORY! christina aguilera bound to you on THE FOURTEEN KARAT SOULS. VOCAL PURITY.